What tax rules are in place regarding the profits from the mortgaged portion of the real estate sale under a self-directed IRA? Profits from the mortgage portion of a property owned by an IRA is subject to UDFI (Unrelated Debt Financed Income) IRS publication 598 is a good resource for this tax. Information on the tax assessed is found in the instructions to the IRS form 990-T.
Can you buy improved property and hold merely for appreciation? Are you able to use the property personally, as long as you personally pay the IRA FMV rental? Property can be held merely for appreciation. One must consider liquidity however since expenses for the property such as taxes, maintenance etc. must be paid out of the IRA. You or any disqualifeid person may not use the property owned by your IRA. My IRA owns an LLC which owns land. I don't want to take a tax hit on distributions when I get the land out of the IRA, so can I graduate the tax impact by distributing shares of the LLC over time? Registering a portion of a property held under your IRA to your name incrementally can be done to avoid the big tax hit. There will be cost of registration however that must be considered. Can you elaborate on Unrelated Debt-Financed Income (UDFI) on a leveraged asset? How is the amount of tax owed determined? It is best described in an example. Let’s say you purchase a $100,000 property using $50,000 and the remaining $50,000 using a nonrecourse loan (leverage). We therefore have a ration of 50/50. If come comes in or if the property is sold, the ratio is applied to the income or sale of the property to determine taxation. As an example if income of a $1000 comes in, 50% will not be taxable and the other 50% will be. The taxable portion will taxed at trust tax rates when the IRS form 990-T is filed. Why might some custodians be concerned about deals using IRA funds, personal funds and leverage? 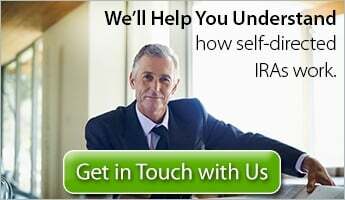 There's enough lack of understanding that comes into play that is the responsibility fo the IRA holder that custodians are leary of IRA holders entering into such a transaction with no guidance from a tax or legal advisor. There is no quick guide however there are IRS publications that are helpful to determine the Tax rules. IRS Pub 598 , IRS pub 590-A and B are some of the publications you can refer to. 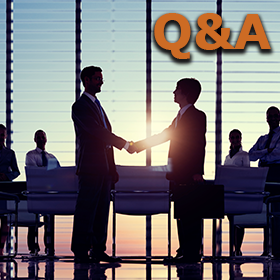 We encourage our readers to post any additional questions about your real estate partnering questions regarding your IRAs in the comments section below so other readers may benefit from the answers. Or contact one of our trained professionals for a quick chat.